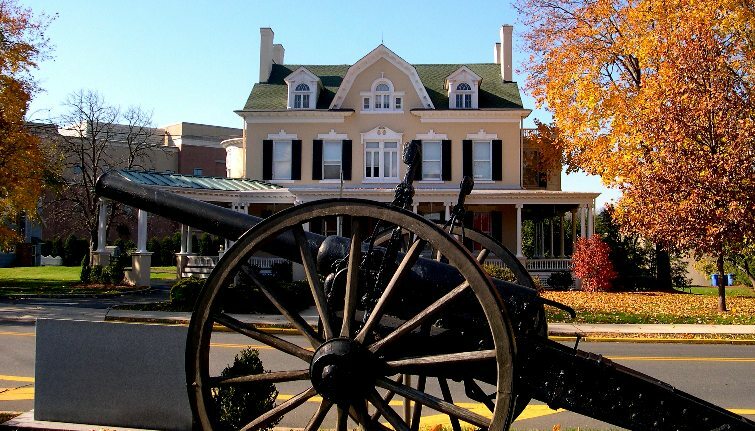 Welcome to Historic Flemington and the county seat of Hunterdon County. A town of contrasts, Flemington is best known for its outlet shopping center, Liberty Village, and for the large corporate stores along Route 202. But it has another side that many travelers never see, which is the historic district along Main Street. Over 60 percent of this fascinating mix of Greek Revival and Victorian buildings are on the National Register of Historic Places. 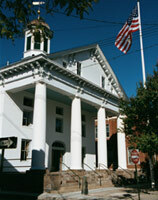 The most notable Greek Revival building is the Historic Hunterdon County Courthouse, the site of the 1935 “The Trial of the Century”, during which Bruno Hauptman was convicted for the kidnapping of the infant son of famed aviator Charles Lindbergh. The old courthouse was in use until 1996 and today serves as a site for ceremonial occasions, and special events. Take a virtural tour of the old courthouse right here. Flemington is not just for history lovers - it has something for everyone. Numerous restaurants and charming shops make Flemington a premier dining and shopping destination. Specialty retailers include the famous Flemington Furs (since 1921). 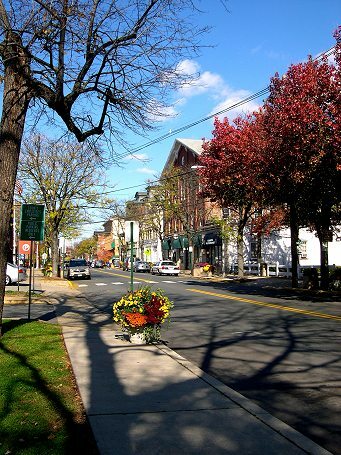 Flemington is also one the leading locations in the northeast for great bargain hunting and is home to over one hundred outlet stores in several outlet shopping centers and free-standing stores throughout the town. Free summer music concerts, classic car shows, movie nights, and other special events add a special treat for the family and are not just for local residents. Flemington’s tradition of being at the crossroads between major regional highways, including Routes 31 and 202, and a regional hub for shopping, dining, business and government continues today. It has a population of 4,203 and is 1.1 square miles in size. Widen your scope and you’re in Raritan Township which surrounds Flemington and has its own assortment of dining and lodging establishments worthy of travel and tourism planning. The Township has experienced considerable growth with new housing developments in the past few years but still retains its rural appeal through the Farmland Preservation program. The township is also host to the Hunterdon Medical Center. It encompasses is 38.6 square miles and has a population of 21,010.